Register for the Half-Life 2 Game Giveaway now! HλLF-LIFE2 is a first-person shooter video game developed and published by Valve Corporation. Check out our previous game giveaways and follow us on twitter/FB for the upcoming ones. 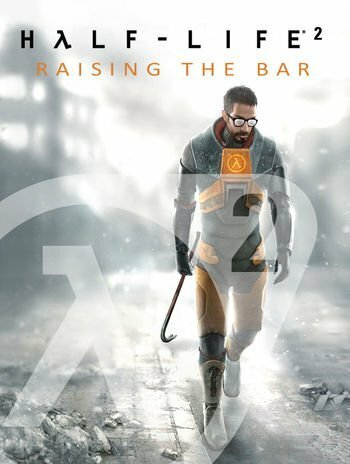 Half-Life 2 puts the player once more behind the thick-framed bulletproof glasses of Gordon Freeman. Freeman is an MIT Graduate of Theoretical Physics with an uncanny ability to wield military hardware. He is the person indirectly responsible for opening a portal to an alien world. Consequently, exposes Earth to an invasion. Half-Life 2 opens the door to a world where the player's presence affects everything around him. Including, from the physical environment to the behaviors even the emotions of both friends and enemies. Furthermore, the player again picks up the crowbar of research scientist Gordon Freeman, to defend this world. The plane is infested with aliens. Its resources are depleted and its populace dwindling. Freeman must thrust into the unenviable role of rescuing the world from the wrong he unleashed back at Black Mesa. And a lot of people he cares about are counting on him. Advanced facial animation system delivers the most sophisticated in-game characters ever seen. The game features advanced physics, animation, sound, AI, graphics, and narrative. 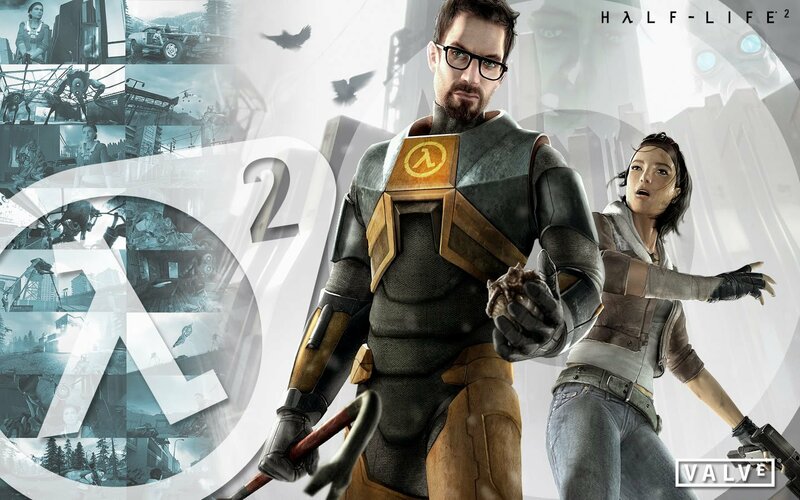 Half-Life 2 received critical acclaim upon release, gaining an aggregated score of 96/100 on Metacritic. The game offers an intense, real-time gameplay. It is a single-player first-person shooter game broken into several chapters. Players permanently cast as protagonist Gordon Freeman. 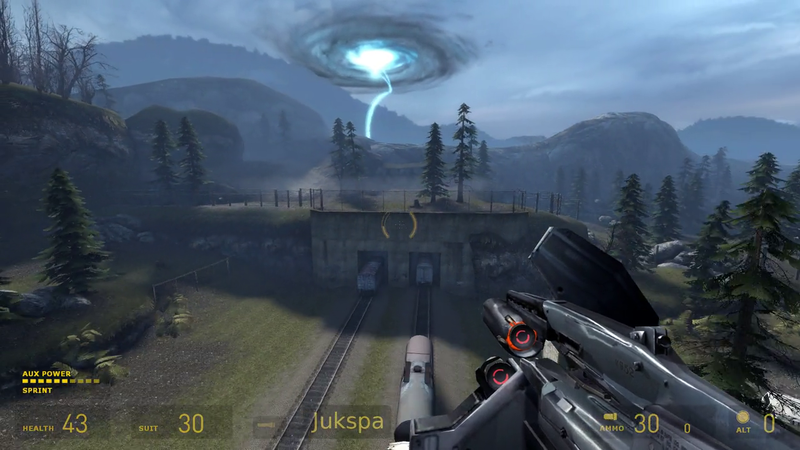 The game has similar mechanics as Half-Life, including health-and-weapon systems. The newer Source engine provides for improved graphics. The player starts without items and slowly builds up their arsenal. Also, there is good selection of weapons and equipment with very creative special abilities. A diverse set of enemies are present. Different tactics are required to face or out-manure them. Also, players can use predictable but powerful attacks to face off the enemies. It is also possible to hide before swiftly attacking. Players can kill most enemies by exploiting environmental hazards such as explosive pressurized canisters, gas fires, etc. Many of the game's new features utilize its detailed physics simulation. Two sections of the game involve driving vehicles. Solutions to environment puzzles involve objects' physical properties, such as shape, weight, and buoyancy. The Gravity Gun allows for one to draw distant objects towards himself or forcefully push them away. Also, players will have the ability to manipulate larger and heavier objects that he cannot control without the weapon. Finally, HλLF-LIFE2 is without a doubt one of the best games that one should not miss.